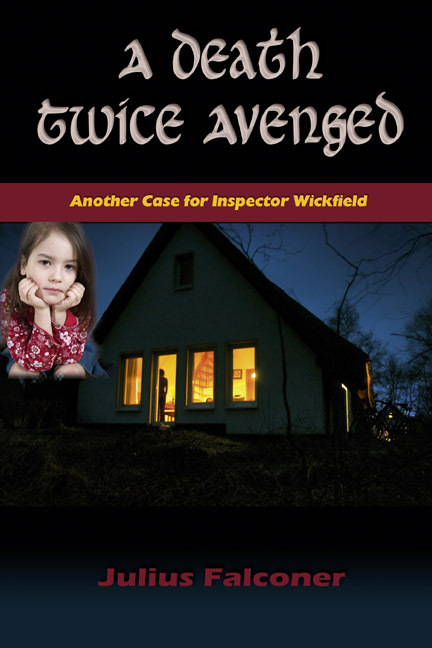 The little girl sitting on the stairs in her night-clothes heard the voices raised in anger. The shouting had woken her, and she had crept out of bed, frightened and uncertain. She dared not descend the staircase but sat trembling at the top, unable to return to bed. She could see light streaming through the living-room door into the hall, and the familiar furniture – the hall-stand, a telephone-stool, a wooden settle containing the croquet set - reassured her that this was not a nightmare; and she recognised her father’s voice. The little girl listened as the conversation continued, afraid to advance, afraid to retreat. ‘You know damn well I can’t do that, not since I went bankrupt. ‘Len, I must have that money. I’m in debt again. I’m ruined if I can’t make a lot of money, and fast. You’ve got to help me. I shall use force’. The little girl heard a vicious snarl of anger and sounds of a scuffle. Rooted to the spot, she shook with fright. The furniture in the living-room crashed here and there. Vases fell to the ground amidst the sounds of shattering glass. She heard panting and thuds. Then suddenly there was silence. After a short time, the living-room door was jerked from within, and a man in an overcoat hurried into the hall, wrenched the front-door open and disappeared into the night, slamming the door shut behind him. Rachel was, inevitably, a hopeless witness. She could remember nothing of the conversation. The only item of information that could in any way be considered useful was the stranger’s name: Mick. Her conversation with the police-woman was almost completely unenlightening, beyond the basic item that she had heard part of the conversation as she sat on the stairs. Another shake of the head. None of these questions, so important to the police inquiry, was met with anything but a denial, a mute shake of the head, as the eyes stared out uncomprehendingly. The aunt, summoned in haste by the char-lady on her discovery of the murder-scene that morning, had succeeded in extracting from the traumatised child the name of the stranger. Otherwise the police inquiry was starting from a tabula rasa. Does it all end happily ever after? Golfing with the Enlightened Dead - "What if you could play a round of golf with history's most provocative philosophers?" Springboard Excerpts 2014. Awesome Inc. theme. Powered by Blogger.